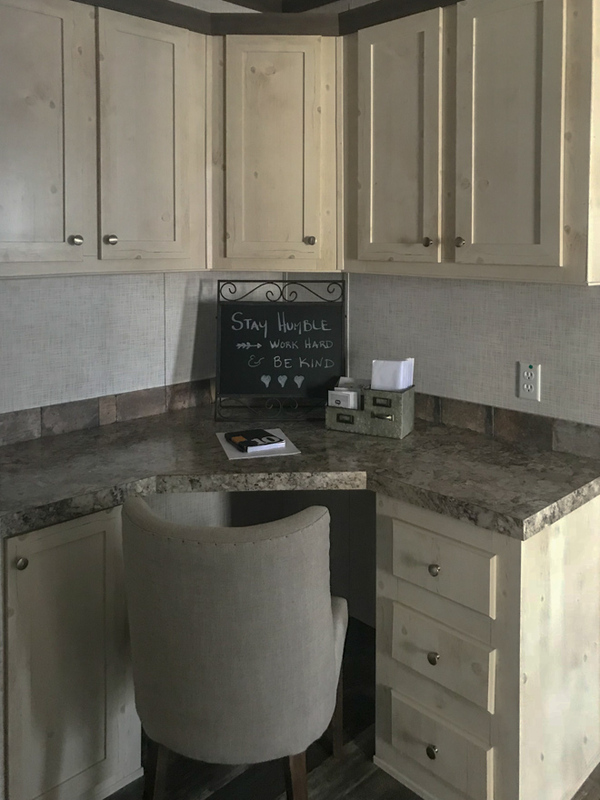 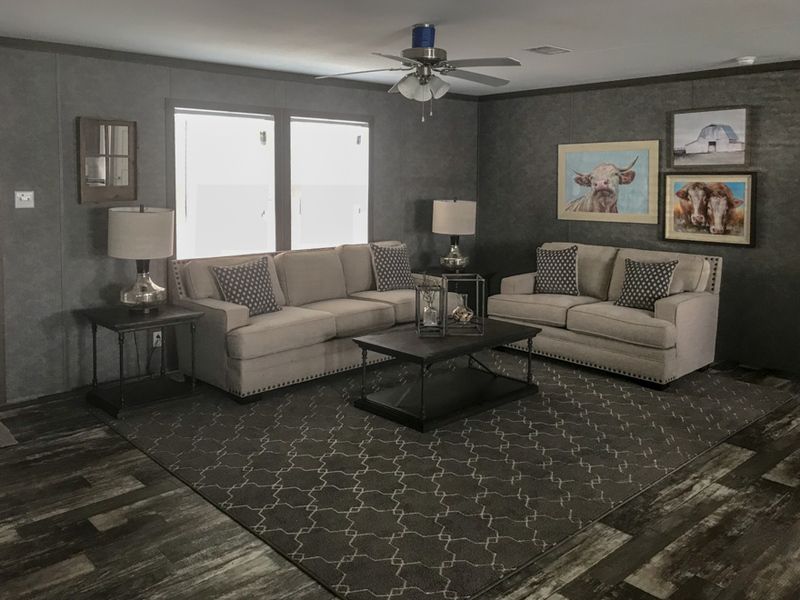 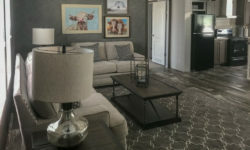 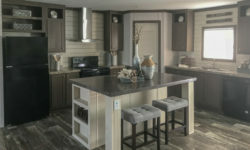 The Meadowcrest model has 3 Beds and 2 Baths. 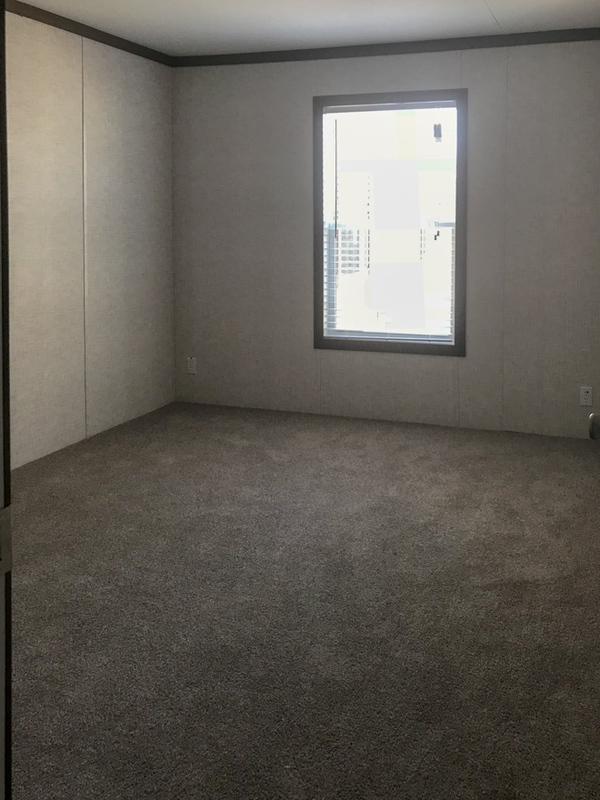 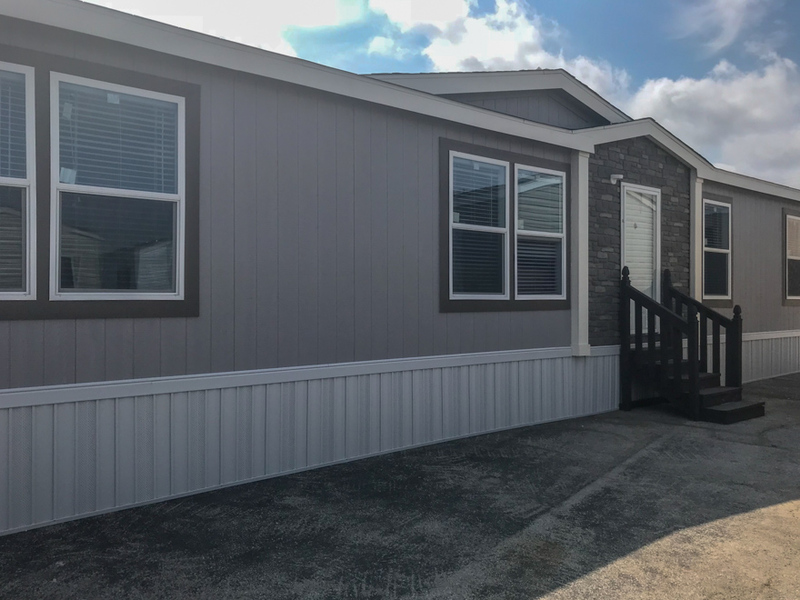 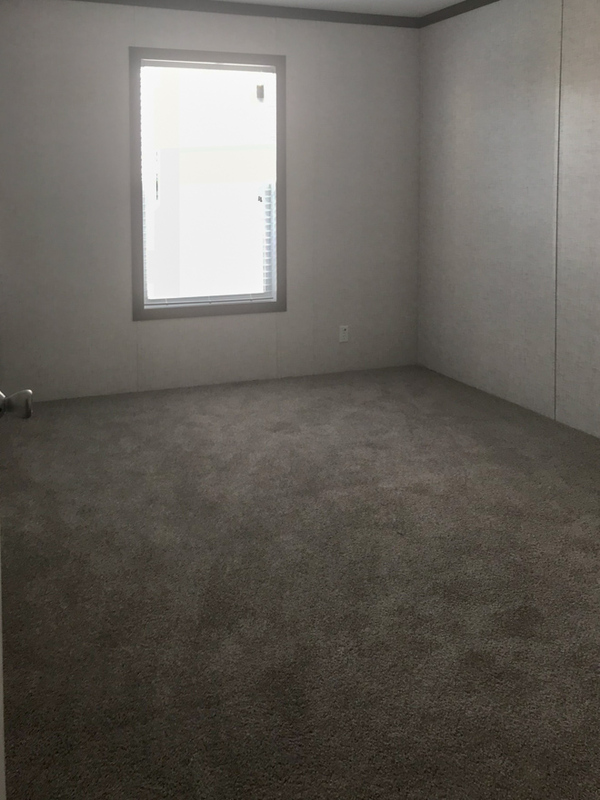 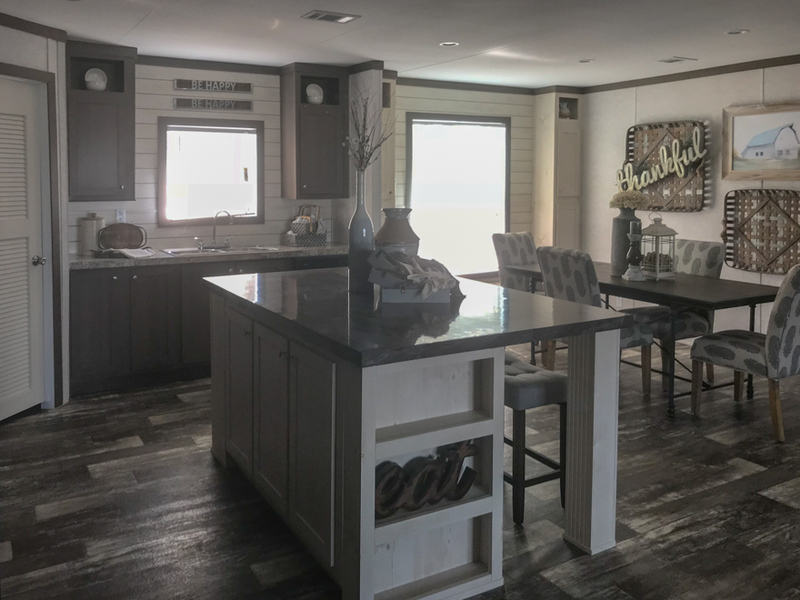 This 1699 square foot Double Wide home is available for delivery in Texas, Louisiana, Arkansas, Oklahoma, Mississippi & New Mexico. 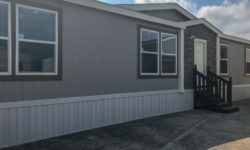 A formidable match for any site-built home, the Meadowcrest multi-section has a lovely tiled front entry that opens to a clear view of the living room, kitchen and dining room. 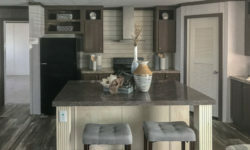 The sheer size and magnificence of the kitchen speaks for itself but don’t overlook the useful island, classic euro range hood and large walk-in pantry. 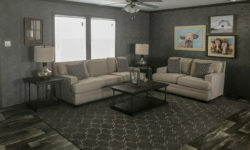 Ask about the long list of upgrades and options. 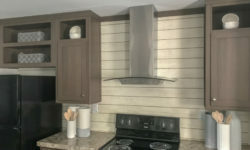 Kitchen showing standard linoleum in color (AF010), Base cabinets in color (Tiberwolf), Countertops on base cabinets in color (Autum Carnival), Black appliances, Euro Vent Hood, Options include: LED lights, Up flow HAVAC, Ship Lap accent walls, Alternate color on Island shown in color (Base cabinets are Costal Creme, countertop is Bronzite), Louvered Pantry Door. 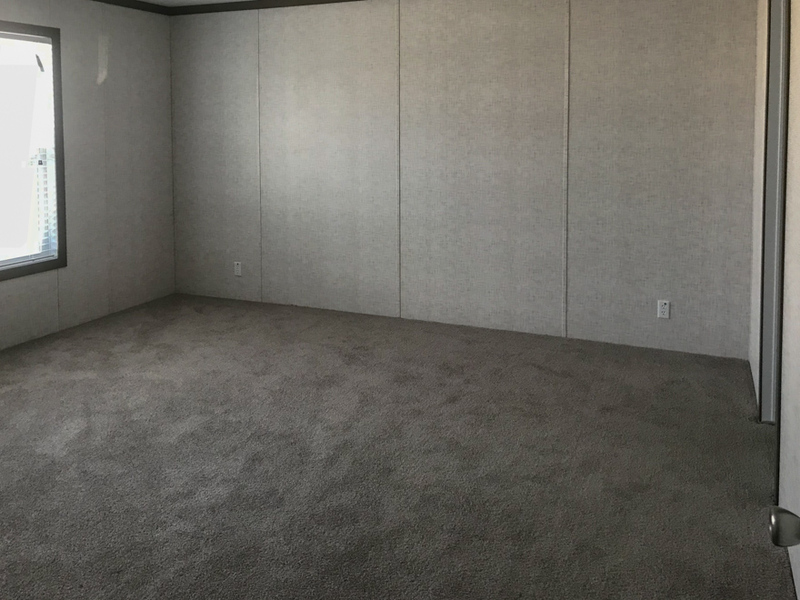 Master Bedroom shown with Optional Thermal Windows, Craftsman Style Molding. 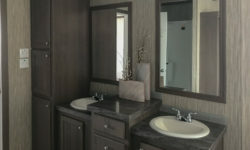 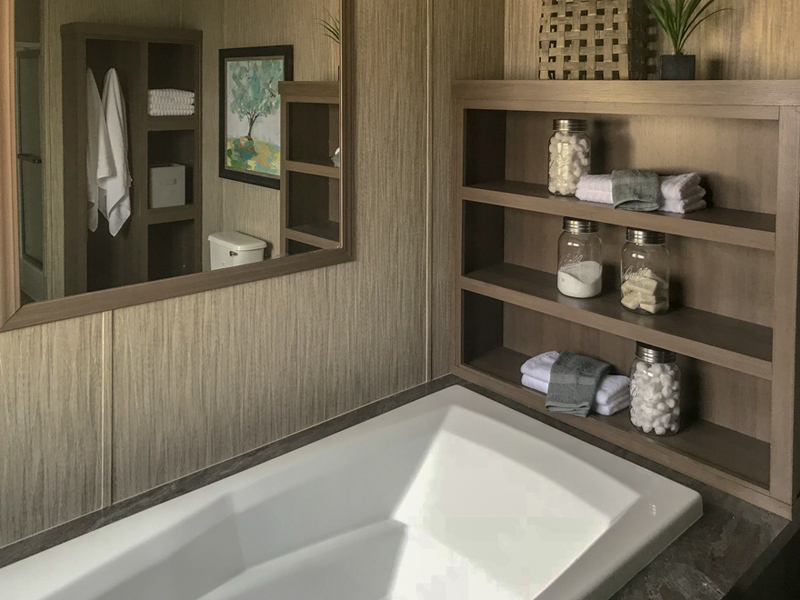 Master Bathroom showing Standard wall color (Quill Sepia), Cabinets in color (Timberwolf), Countertops in color (Bronzite), Dual China Sinks, 72″ Soaker Tub, Wood Trimmed (Cabinet Color Matched) Mirrors. 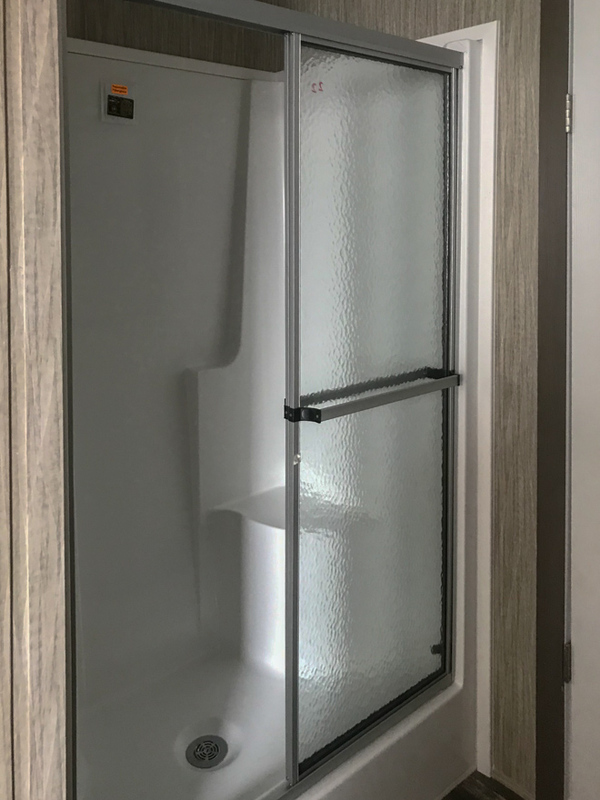 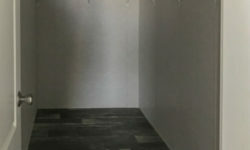 Options Shown include 48″ 1pc Fiberglass Shower, 6″ Glass Backsplash in color (Ice White). 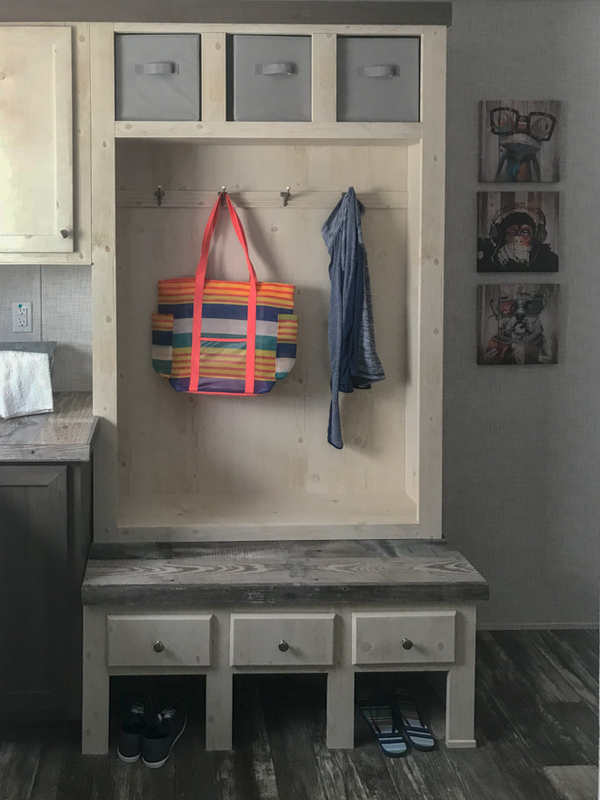 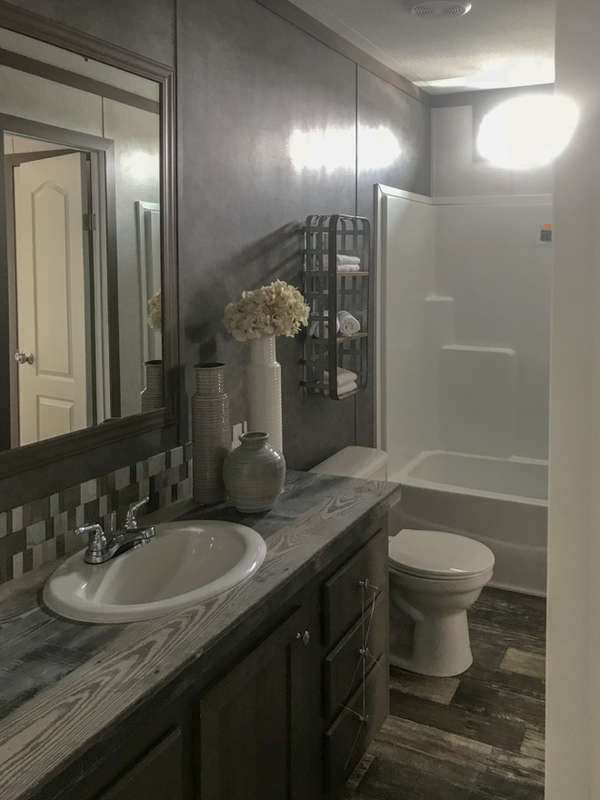 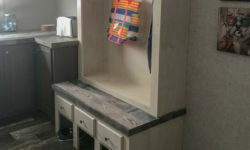 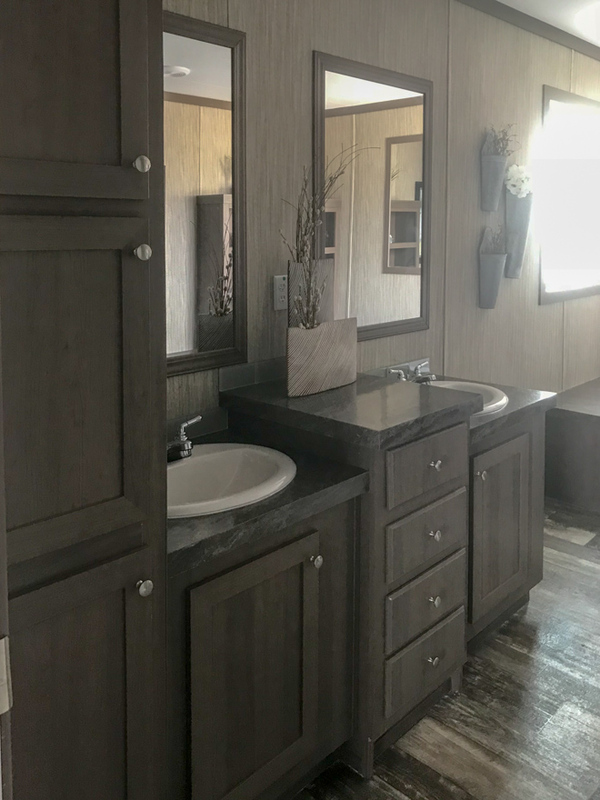 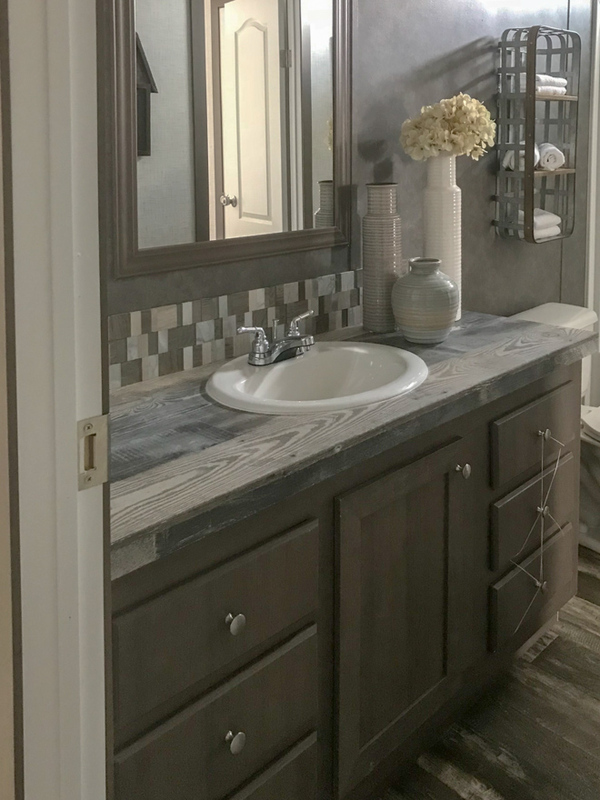 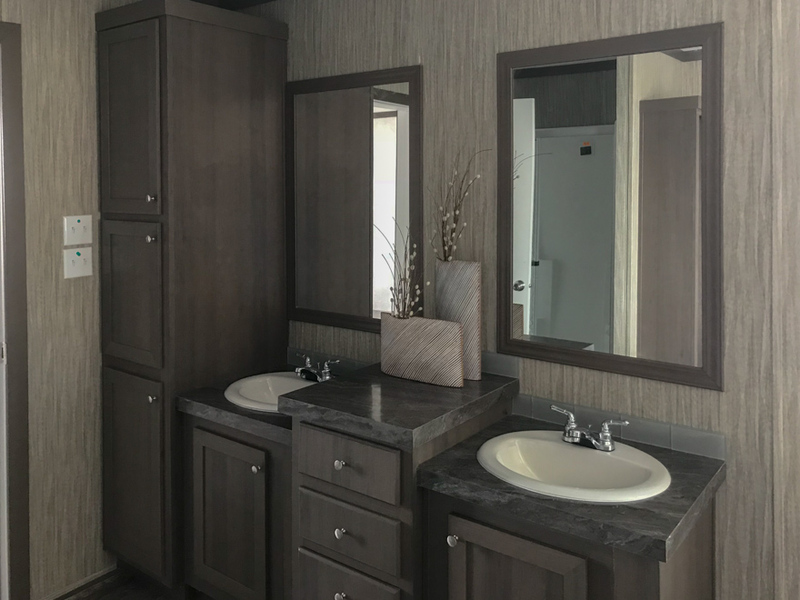 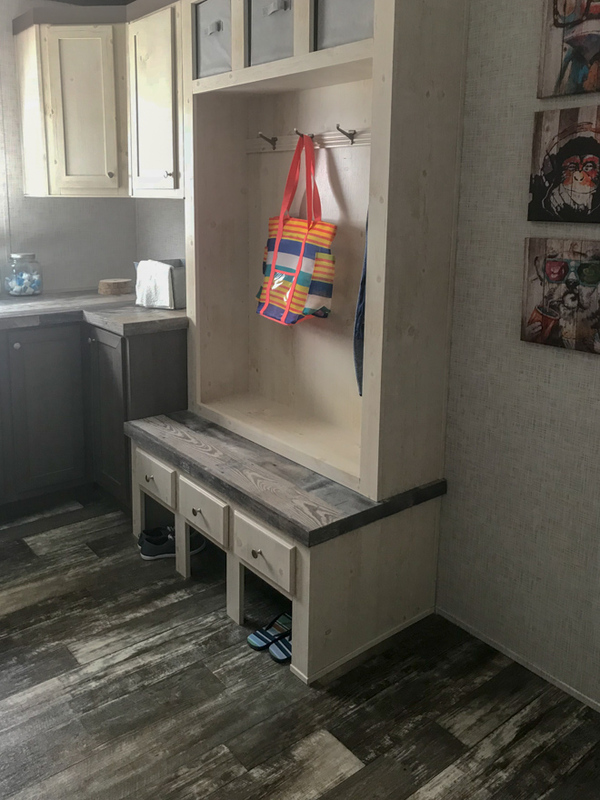 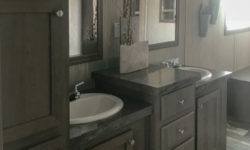 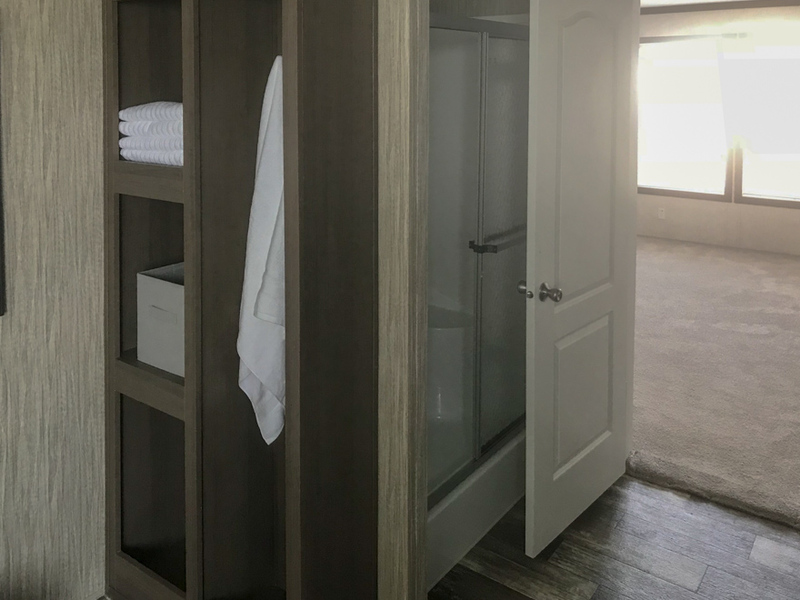 Guest Bathroom showing Standard wall color (Zen Charcoal Aztec), Cabinets in color (Timberwolf), Countertops in color (Antique Marula Pine), China Sink, Wood Trimmed (Cabinet Color Matched) Mirror. 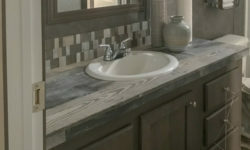 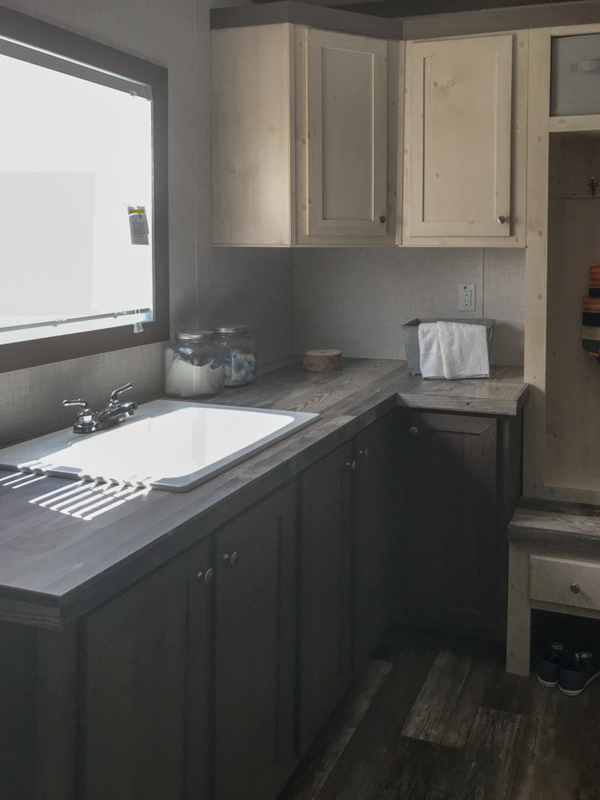 Options Shown include 54″ 1pc Fiberglass Tub and Shower, 6″ Glass Backsplash in color (Ice White). 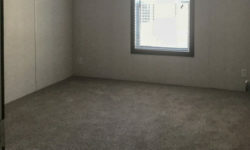 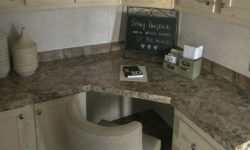 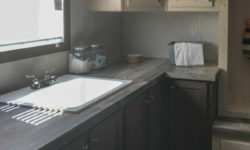 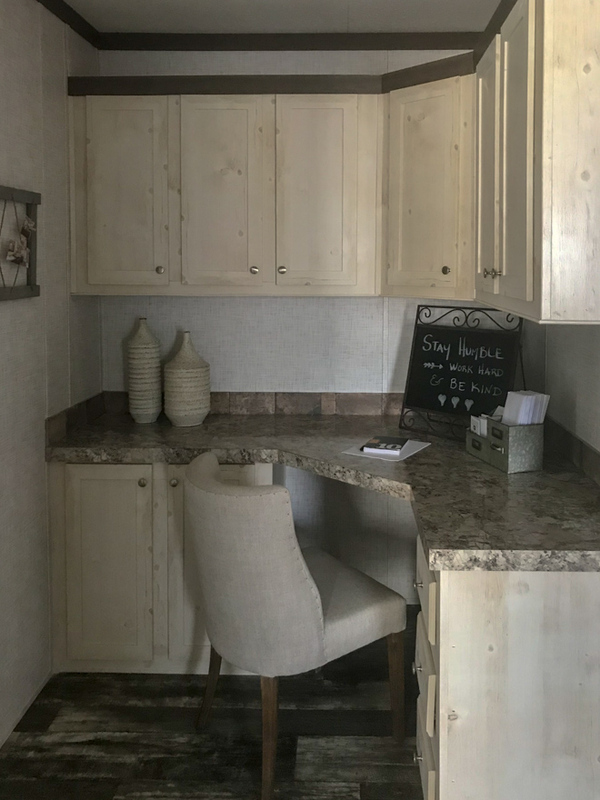 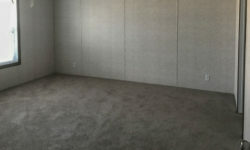 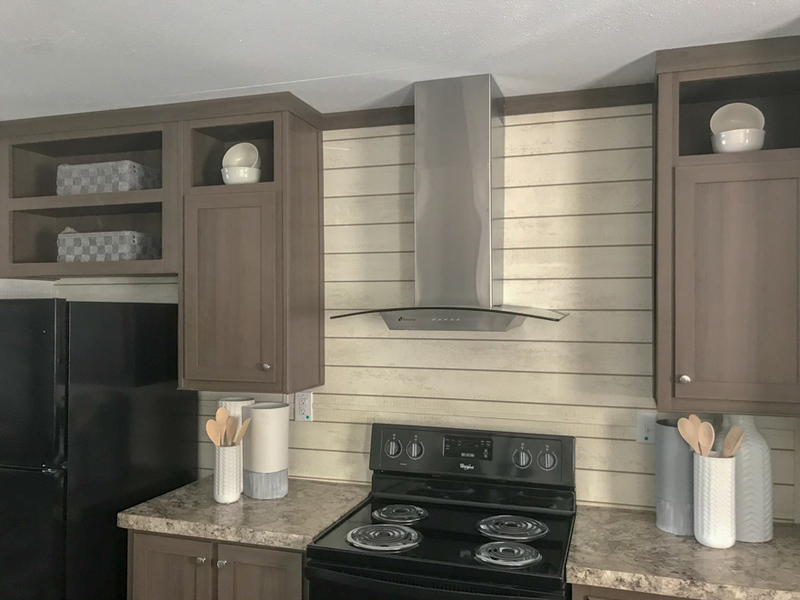 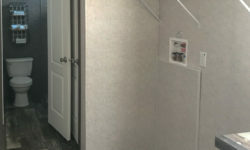 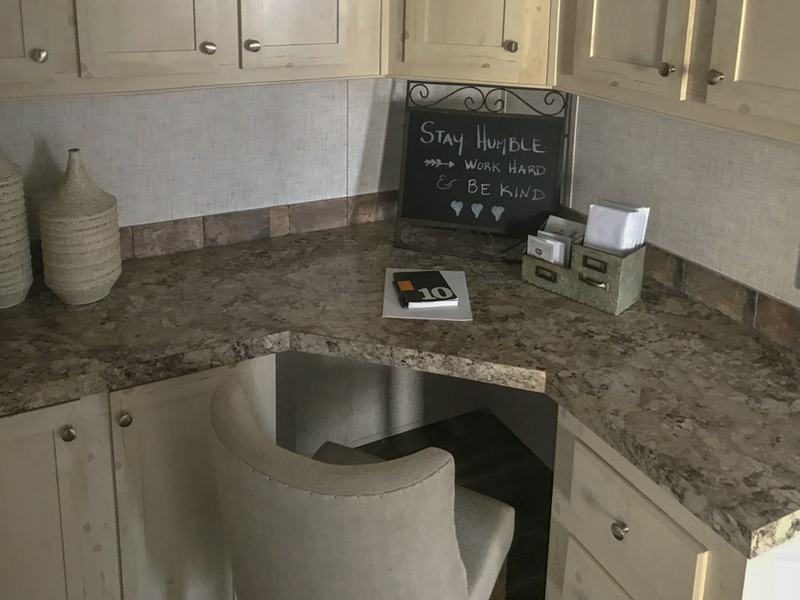 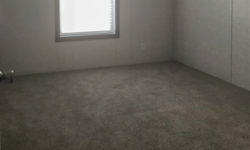 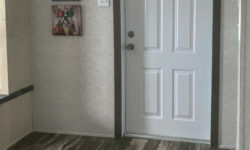 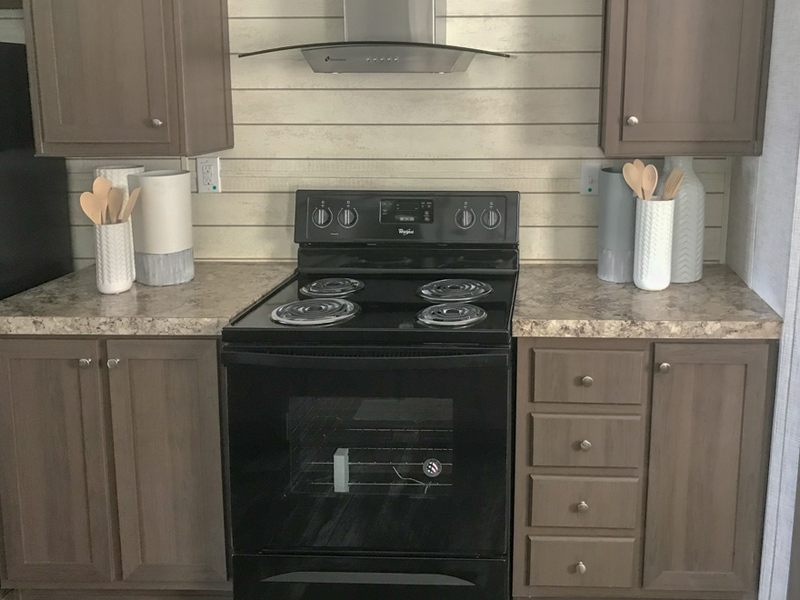 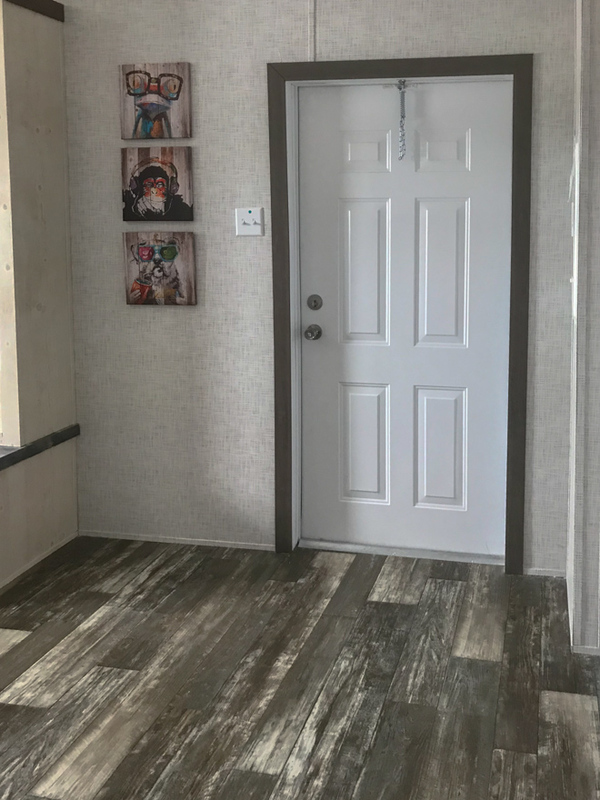 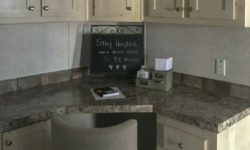 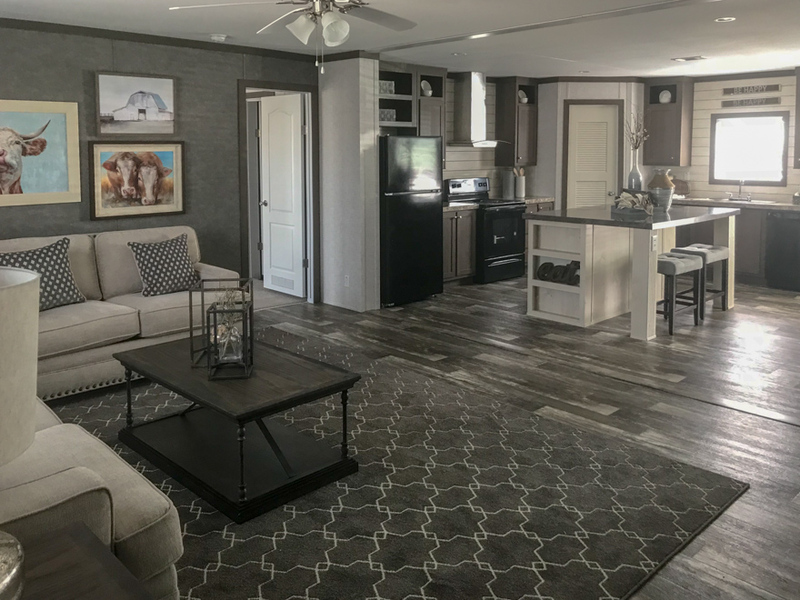 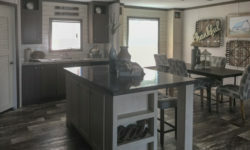 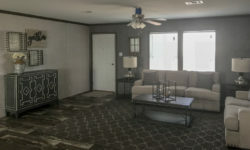 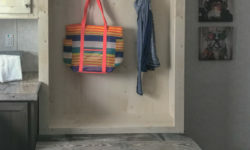 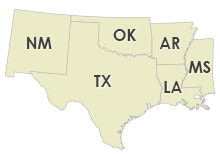 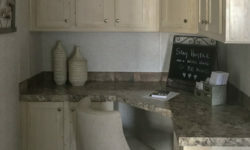 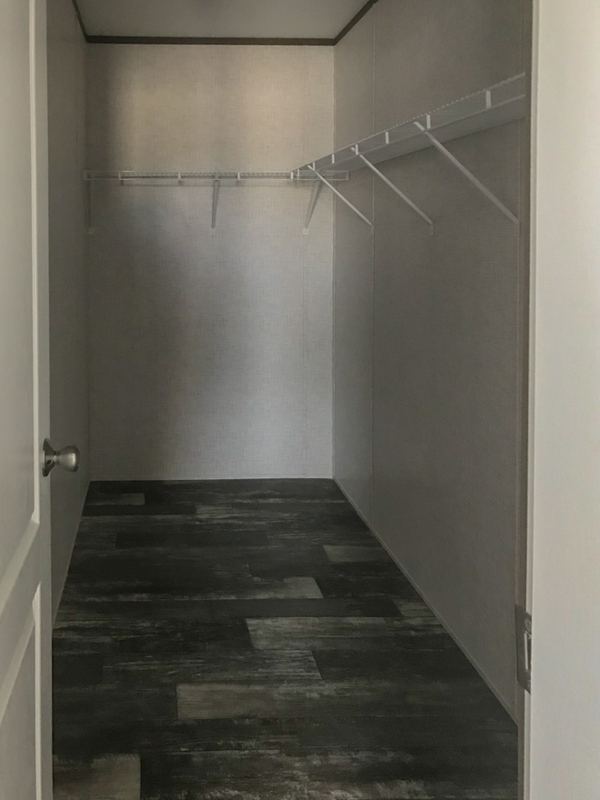 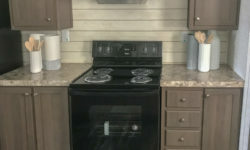 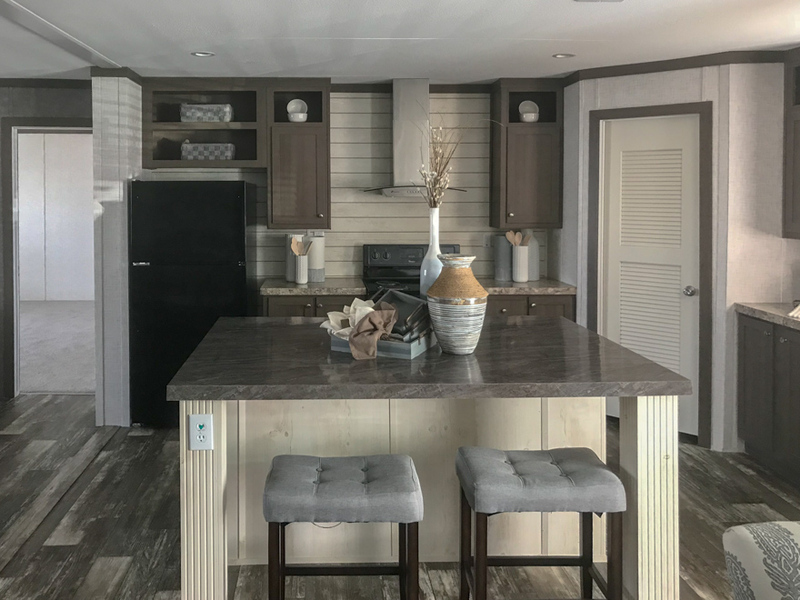 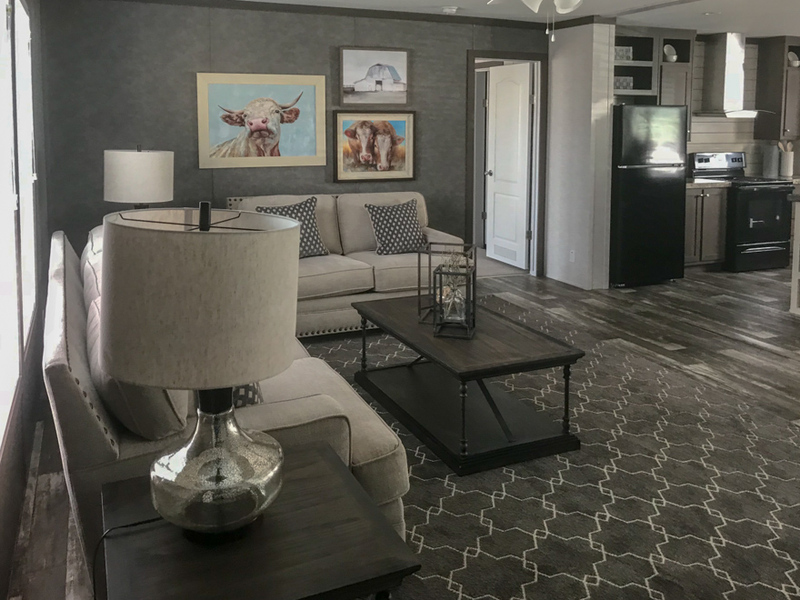 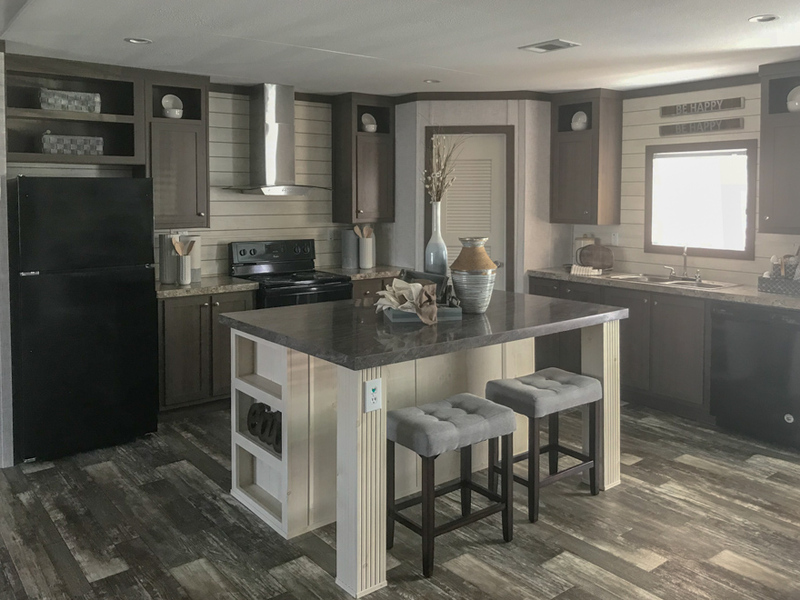 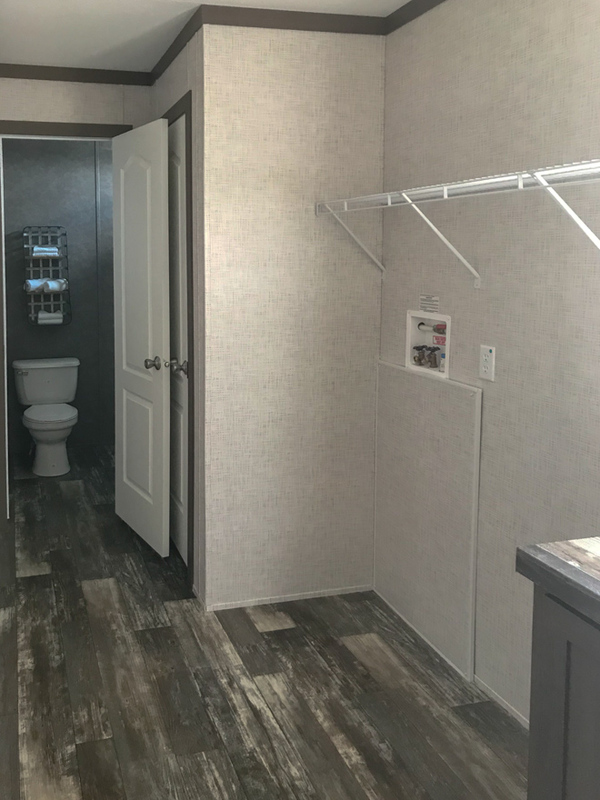 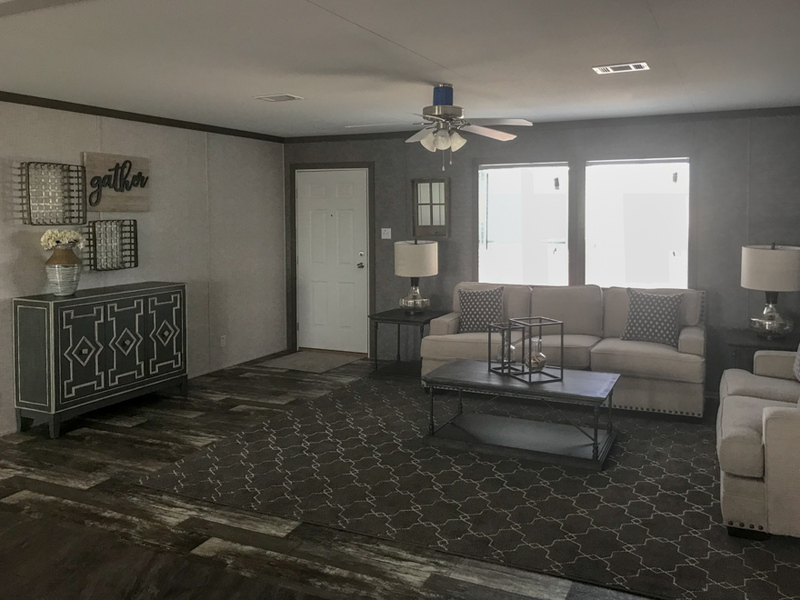 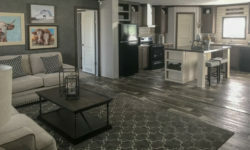 Ask your housing consultant about the other great features that come standard on the Meadowcrest manufactured home.